I thoroughly enjoyed The Aeronaut's Windlass, no doubt about it. 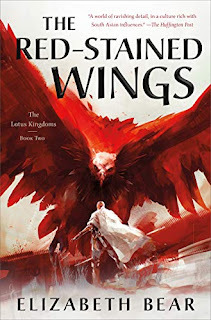 It was a fast-paced, action-packed, imaginative bit of fiction with a lot of elements that appealed to me. 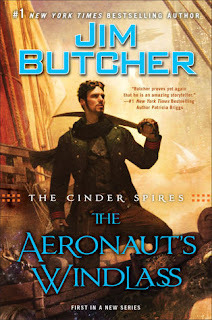 Where Jim Butcher's steampunk(ish) adventure fell a bit short, however, was in terms of characterization and description. The characters here are all genre archetypes, as if Butcher was just going down a list, making sure he checked all the boxes. That's not to say that some of them weren't interesting - I admired Captain Grimm and loved the scenes with the Master Ferus and his assistant, Folly - but they all seem like characters we've read before. They're characters who fill a role and serve a purpose, but who don't exhibit much in the way of personality. To make matters worse, I didn't find Gwen particularly likable, which is an issue when she's front-and-center to so much of the novel. 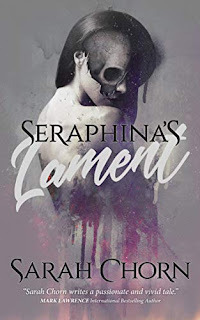 The lack of description, which you can get away with in a more familiar urban fantasy setting, is sure to be an issue for many readers here. Butcher has crafted a fascinating new society, living high in in the clouds, but it's all as ethereal as the magic-like technology that supports it. There's very little detail here to explain what it all looks like, and how it all fits together. This is one of those books where I'd gladly overlook the addition of one more character archetype (the outsider) to wander around and comment on everything he sees, just so we could see it alongside him. I'm an imaginative fellow, with a fondness for weird and unusual places, but even I had trouble forming a mental picture of where we were and what was going on. Having said all that, there were some fun elements. The naval battles were definitely the highlight of the book for me, taking traditional sea-faring to the skies, and augmenting it with laser-like weapons and shields that are very much space opera inspired. Dialogue was hit-or-miss, with the witty banter often feeling a little forced, but the bewildering confusion of conversation with Ferus and Folly was an example of a genre trope that Butcher completely owned and excelled at. Initially, I wasn't too thrilled with the inclusion of talking cats, but Rowl defintitely has his moments, rising about the animal-familiar archetype to become one of my favorite characters. 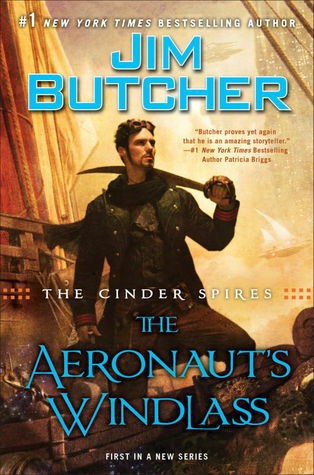 Ultimately, The Aeronaut's Windlass is a fun read, but neither a deep one nor a particularly memorable one. It's the literary equivalent of an old-time adventure serial, one where we gleefully ignore the cliches and forgive the wooden delivery so long as the action keeps us moving along. You can walk away from it with a smile, having enjoyed the ride, but you really do hope the memories will fade before they're spoiled by any serious thought or reflection. Maybe it would make for a better movie than book? Read a book earlier this year that had a main character who was unlikable from start to finish and that really dampened the story. I had issues with his characters in his Codex Alera as well, but I do love his Dresden Files. Maybe his strength is in urban fantasy, first person, or something. I'm looking forward to checking this one out though, sometimes archetypal characters can work, depending on the type of story being told. I am agreeing with your books so far. 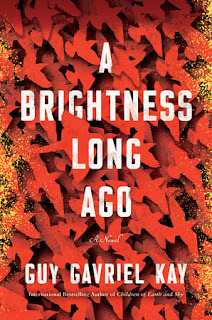 The characters are likable but kind of dull while the plot is a bit threadbare.